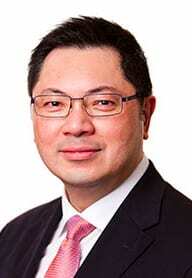 The Race Discrimination Commissioner Chin Tan has spoken out following the far-right rally which took place in Melbourne’s St Kilda yesterday. Many of the activists participating in the rally raised their arms in the Nazi salute. He said in a statement: “I condemn in the strongest possible terms the apparent racist and race-based motivation behind the rally. There is no place for such rallies in Australia. All Australians have a right to protest peacefully, it is one of the great freedoms we enjoy. It is, however, never acceptable for people to act or conduct themselves in ways that are likely to, or intended to, inflame and incite racial fear and tensions, hatred and violence. Community concerns about crime, where they exist, must be properly discussed, and those discussions must be underpinned with facts and evidence. Activities that target a community based on their race or ethnicity are unacceptable and have no place in a cohesive, multicultural Australia. I have been assured by Victoria Police that they will enforce the law if it is breached at the rally, including laws relating to incitement to racial hatred and violence. targeting a beloved local Melbourne rabbi. The support of the far right event by Queensland Independent Senator Fraser Anning attending and posting support online is also a sign that the community must keep the pressure on all sides of politics to oppose racism, racial hatred and religious intolerance. 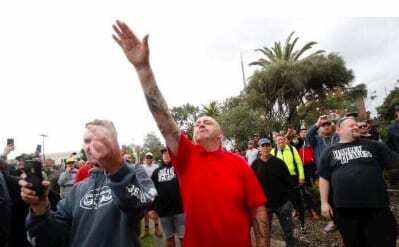 The Jewish Community Council of Victoria (JCCV) also condemned the far-right rally held on St Kilda foreshore organised by Blair Cottrell and Neil Erikson both previously been convicted of crimes under Victoria’s Racial and Religious Vilification Act. 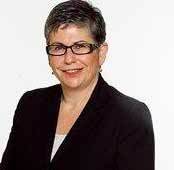 JCCV President Jennifer Huppert said: “The use of Nazi symbolism and expressions of racism by the attendees is unacceptable behaviour and has no place in Australia”. The actions of the of those attending the rally, as well as the recent activities of Antipodean Resistance in stickering swastikas in the vicinity of Emmy Monash Homes in North Caulfield, are part of an increase in the activities of the far right, which are of great concern to the Jewish community. Perhaps Mr Chin Tan and Jennifer Huppert should get educated. It is the Far Left that use the Nazi salute and are an aggressive mob that go to peaceful rallies be they Right or Far Right to cause problems. They also call Jews Baby Killers like Golda Meir. along with many more colorful descriptions. Perhaps when these peaceful rallies are held the opposition is not permitted to attend, therefore eliminating any problems. Allas… it seems the Media who is Far Left, extremely biased would screm blue murder. I also found that the Police removed the peaceful protesters on more than one occasion as it was easier t remove them than the insane and violent mob of the left and the media had a ball with this on the news. The victims of asult were arrested because there were too many perpetrators. Ah, so much for Justice in this land and the Honest reporting.